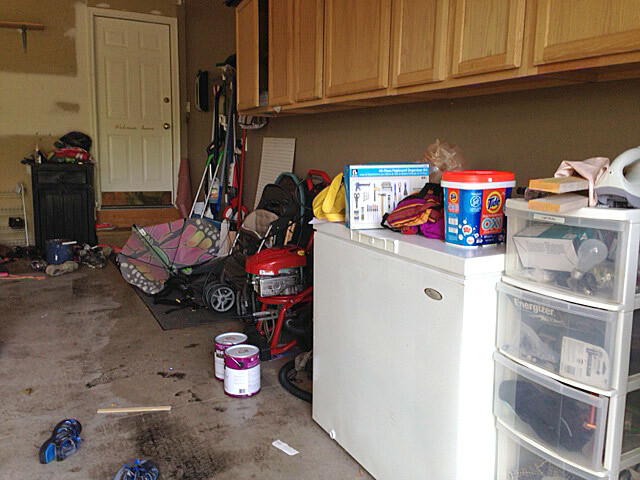 This entry was posted in Garage, How to, Reviews & giveaways, Sponsored by Susan. Bookmark the permalink. Oh my! I have a Steelcase desk and filing cabinet that I would love to refinish and a sprayer would complete the project perfectly. Also my front deck really needs a new finish before winter and with a sprayer I would have a chance; otherwise, spring it is! I would use the HomeRight paint sprayer on my kitchen cabinets and island. I’ve been dying to paint the island a different color than the cabinets. I’ve seen it done before, but there is no way I could even start that project without a paint sprayer. The HomeRight sprayer sounds perfect! Oh my! The list is long! Furniture, outside of house and garage cabinets as well. It would be awesome to have a good sprayer. We tried one years ago and the results were disappointing. We are ready to try another one. I’d love to use it on our deck. Much needed! I’d love to paint the cabinets in all the bathrooms of the house. This would come in handy. I would use it on several closet doors and a couple of pieces of furniture. I subscribed to HomeRight TV on youtube. I subscribed to HomeRight on Twitter. I subscribe to Living Rich on Less blog posts! Love your tutorial. I am already a subscriber to your emails and bloglovin feed. Does that count as an entry? I am now a subscriber to HomeRight TV on YouTube. Looking forward to some great home DIY inspiration there. I would use it to paint the doors and shutters. I have some kitchen chairs I would use the Homeright Finish Max Pro Fine Finish Sprayer to paint!! I’ve wanted a paint sprayer for years. Thanks for the chance. I already subscribe to your wonderful blog. I want to paint all my bathroom and kitchen cabinets. This would be wonderful!! We are attempting to paint our kitchen cabinets before the holidays so this would be PERFECT timing! Thanks for the chance. I am already subscribed to your wonderful website! Thanks! 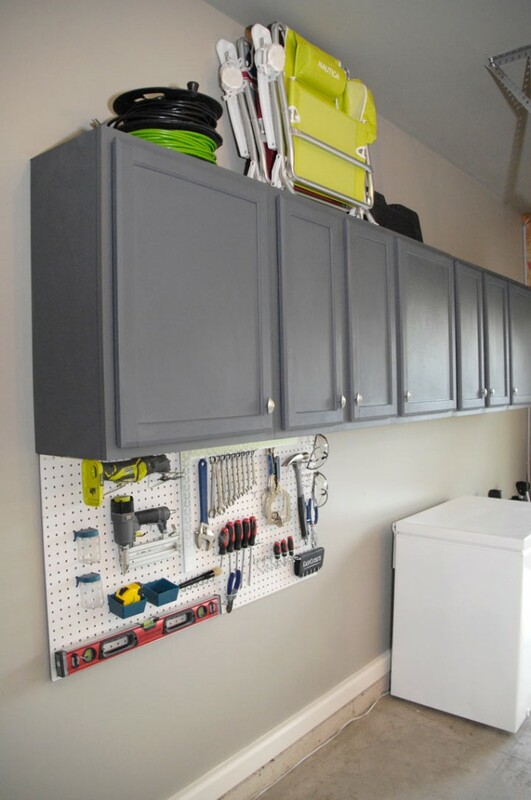 Oh my…my garage would look so great if I did the exact same thing !!! I would love to win this giveaway. Like you, I have cabinets in my garage. Yours a much nicer than mine (old ones from a school…..think 1950 era), and they could use an update. I think I’d start there! We are renovating our upstairs. All the molding and trim has to be painted. This would save us hours and hours and hours. I have two armoires, a side table and a bedside table I need to paint. Wouldn’t this sprayer just be awesome for the job? Here’s hoping!! P.S. – I already subscribe. Love your blog because you keep it real! I would LOVE a sprayer! I have a picket fence that needs a coat (or two) and that would be PERFECT!!! oh yes, I also subscribe to Living Rich on Less! I would paint the bathroom cabinets. Hello, I am a subscriber to Living Rich on Less blog posts. I would use a sprayer to paint my kitchen and bathroom cabinets. We moved into a foreclosure and everything is very, very dark depressing wood. Need I say more? Thanks so much for the giveaway! I would love to have a sprayer as I want to paint my kitchen cabinets. What wouldn’t I use this for is a much shorter answer. 🙂 I am a big fan of sprucing up. For example: we’ve lived in our home for close to four years…Most rooms are on their second paint color. We are in the market to repaint our cabinets in the kitchen (Def not my style) and I’d love to paint our trim throughout our house. This little gem will definitely get used. And it would have one happy owner. The garage looks fabulous! ! @samikrafttd4 is a follower of HomeRight on twitter. 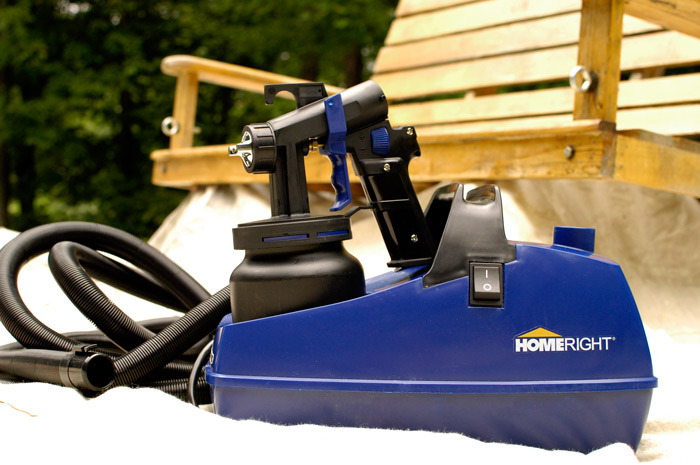 Would love to try the HomeRight sprayer on the garage full of furniture in the garage. My husband would be thrilled. After seeing your garage before I feel a little better about my garage. I spent the weekend cleaning it up with my husband who had that “I am not happy look” and even unhappily look that I have used my freezer for my painting projects! So I would tell you I would paint my garage and every stick of furniture I have in it! Which is a whole lot. I will. I have now spent the last two weekends getting it cleaned and semi organized. Which also means a whole lot of trash. So much I have avoided the trash man. I am waiting for him to come up to the house to tell me no more. Have a good one! My kitchen cabinets are circa 1965 and in need of a facelift. Once that’s done, there are a number of projects to complete including our outside storage shed! What a great tool! I could really use a sprayer to paint dressers in my home. I have a few tables too! Knowing myself, I would start a project LOVE the sprayer, and then spray things that didn’t need painted to begin with! This is a great giveaway, thank you for the opportunity to win! I just moved into a builders grade BLAH house (instead of white out it’s a total beige out) and need to paint everything. I would love to have a sprayer to paint the bath and kitchen cabinets and 3 bookcases that are sorely in need of updating. Your cabinets look great, Susan. Love the gray! I would love to win the prize to clean up from filing cabinet to cupboards. My house definitely needs a lift! Thank you. I would love to win this sprayer! We need to paint the cabinets in our bathrooms. One bathroom has an odd brown painted finish and the other bathroom cabinets looks a little like vomit. They need to be painted! I just spent six months plus re-finishing our kitchen cabinets last year. It was a mess and a disaster. Actually, they’re already chipping and really need to be done all over again. Plus we are renovating our bathrooms, new flooring, etc. and being able to refinish the cabinets with the right equipment would be a tremendous help! Yours look fab, as do all your posted projects! Love your video’s and tutorials too! Linda, that is so sweet. Thanks for the feedback and best of luck with your bathrooms. This post is so timely! We are preparing to paint our kitchen cabinets (which were destroyed both by the previous owners and the painter we hired to paint them). I was planning to do them with a brush and roller here in the next month or so, once the weather here in AZ cools off (we’re still in the high 80’s – mid 90’s), but after watching your , wow! One of these sprayers would make the huge job so much easier!! Great job!! I love the color you used!! What color and brand of paint was it? Sorry, watched the video again and you told us the brand and colors. Thanks!! That’ll teach me to watch a tutorial while cooking breakfast with 2 toddlers hanging on me. 😉 But what kind of finish clear coat did you use, I’m curious…? No problem, Stephanie. I TOTALLY understand. 😉 I used Decoart’s clear wax finish, but I think a coat of polyurethane sprayed or brushed on or a coat of run-of-the-mill paste wax worked in would do the trick just as well. Subscribed to HomeRightTV on YouTube. We’re in the process of buying a foreclosed home so we would have lots to paint as the house is in need of a lot of TLC! I would start with my kitchen island, and go from there! I already subscribe to your posts! This would be great for repainting my kitchen cabinets! Wow. The cabinets are amazing. I would use the sprayer to spray paint our garage entry door. I tried to repaint it with a brush and it just didn’t turn out well. Maybe my kitchen cabinets? That would be great! I have thought about painting my kitchen cabinets…maybe this would be the thing to convince my husband it is do-able! A kitchen cabinet redo that I have planned for next spring. Gonna get it done. I painted my cabinets myself but they aren’t holding up very well. It would be great to try again with a sprayer like this! Then I would do the cabinets in my craft room. BTW, You are so elegant in all you do and very talented. Thanks for giving people like me the encouragement to tackle projects big and small. That is so sweet, Melanie. Thanks so much for the kind words and best of luck on your cabinet project. You can do it! Me ‘n the little lady’s got a real nice 1998 pickup that’s bout three different colors (not countin the rust). This little baby ‘d be perfect to restore ol Bessie to here original greatness. I would like to do my garage just like yours. The paint sprayer would make it so much easier and prettier. Thanks for the opportunity to win. Love your blog. Garage FULL of furniture that needs to be refinished and then either used in my home or re-homed. Painting furniture with a brush is tedious! I really need a sprayer! I would use this sprayer to paint my garage walls that totally need some updating! NOT entering– but wanted to tell you that you did a great job on your cabinets Susan! Fabulous tutorial for the Finish Max Pro! Thanks so much, Gail. You introduced me to the sprayer and, boy, am I glad! I feel like a real painting pro now. What a difference the right tool can make, right? I so want to repainted my cabinets and this would be perfect to use for that and on my porch rockers. Crazy auto correct- repainted, not repainted. I have a garage full of projects that need the love of a paint sprayer! I have bad habit of picking up ugly old furniture because I can *see* what it *could* look like with a little love! A Paint sprayer would be phenomenal to own and make it that much easier to breath some new life into what they could be! Currently I have a secretarys desk, a book case, a buffet, AND a dresser to complete! Fingers Crossed!! I want one! 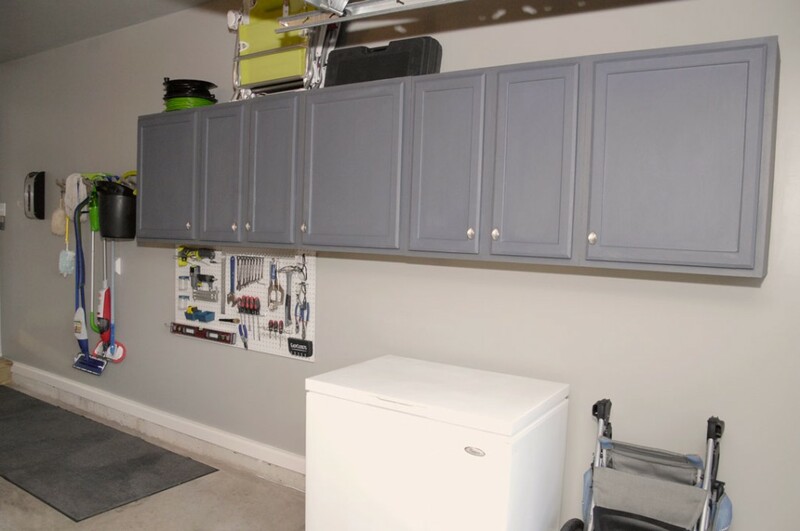 Great job on the cabinets, your garage looks fabulous! I would use it on everything! ! I have furnature I want to re do, sheds to re paint and if I get good with it I have kitchen cabinets also to re finish! Following you now on youtube! I would love to paint our kitchen cabinets. They are an ugly medium wood color with no character. I would love to do a fun modern color! I subscribe on YouTube as Jessica Miller. I follow on twitter as @jjak2003. I subscribe to Living Rich On Less via e-mail. I just purchased 6 cabinet wardrobes and the beds to match to take apart and use as shelves from a local children’s shelter. They are SOLID wood and in BAD cosmetic shape with graffiti all over them . I need to prime and paint inside and out. I have been researching the numerous options and REALLY want the HomeRight. I am making an armoire that needs to be painted so this would be very helpful! I would love the HomeRight paint sprayer to prime and repaint a large wicker cabinet along with a few other home items. This paint sprayer would get soooo much use around my home! We are planning on doing an update to our kitchen. A paint sprayer would be perfect for helping to update the kitchen cabinets. I subscribe to your blog posts. cabinets, garage doors and deck railing! I have a 7ft folding wood screen that I’m making into a headboard. Painting with metallics and a high gloss finish. 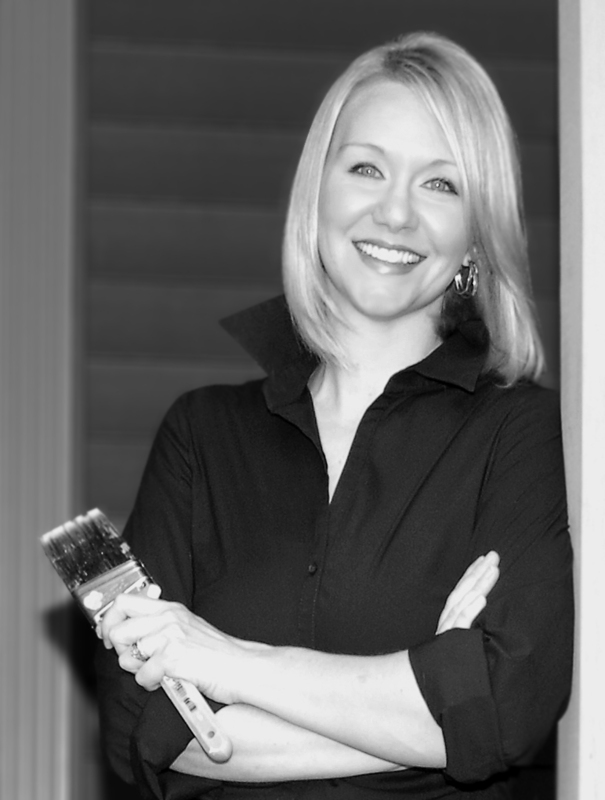 I would love to try the Max Pro Fine Finish Sprayer on a desk and chair that I’m ready to freshen up. This would be such a time saver! I’m a blog subscriber by email. Well my dining room table has been redone but I have yet to paint the chairs because I dread having to do all the spindles. So having a sprayer would definitely help me finish the project! Do we have a winner??!!?!!? !